Celebrate the freedom of being both hippie and chic with this fragrance that brings alive the free-spirited, sixties-style vibe of Malibu! Drenched in floral accords, this juicy treasure is an aromatic revolution. It allows the wearer to savor the fusion of freshly cut blossoms soaked with wildly feminine wood harmonies. 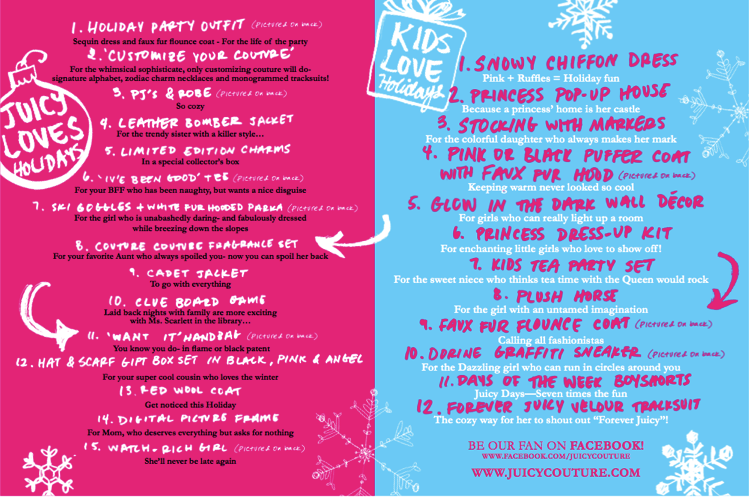 Give Peace, Love & Juicy Couture a chance! The bottle features groovy turquoise gems, bohemian charms, and girly pom poms. Notes: Lemon Tree Blossom, Hyacinth, Sweet Apple, Black Currant Bud, Jasmine, Magnolia, Malibu Poppy, Honeysuckle, Linden Blossom, Orris Extract, Patchouli Flower, Musks.